As an Augustinian compiler on the works of the Augustinians in the Philippines, I never thought that there is an existing cause for this friar. Let his great works be heard and known. Great thanks to the article of Fr. Alberto Esmeralda, OSA, who also happened to crossed this prayer in one of his interests about this unheard Augustinian friar. 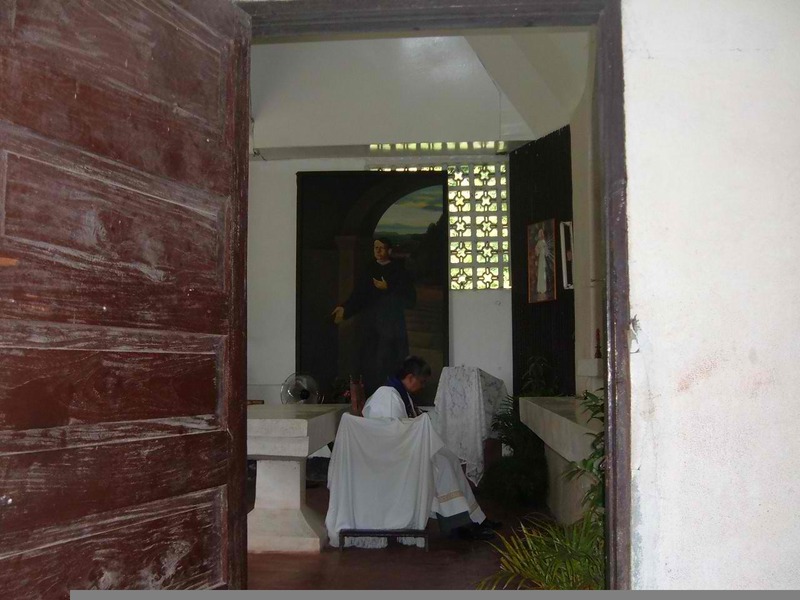 Father Diego de Herrera also poured out his blood so that the people in this island province will also have hope to be one with the resurrection of Christ from His death. Father, allow Fray Diego de Herrera to be elevated to the altar or martyrs Because he gave his life with the faith that You alone are God and that the true church is the Catholic Church. We ask that You grant the prayers of Your people (prayer requests), those things which science cannot bestow. Heal our sickness through the intercession of Father Diego de Herrera. Ama na yaon sa langit, ipinadara mo ang saimong aki na si Fray Diego de Herrera sa Catanduanes tanganing magbalangibog nin saimong marahay na bareta asin mag tugdok nin simbahan na iminokna kan saimong aki na si Jesus kristo. Siring kan saimong Bugtong na aki si Padre Diego de Herrera nagpabulos man nin dugo tanganing ang mga aki mong taga Catanduanes magkaigwa nin paglaom asin makisomaro sa kapangganahan ni Kristo sa kagadanon. Ama tugoti man na si Fray Padre Diego de Herrera ma elivar sa altar nin mga martyr. Itinao nya ang siyang buhay sa pagtubod na ika sana ang Dios, na ang tunay na simbahan iyo ang Iglesia Catholica. Taohan man lugod ang mangapighahagad kan saimong mga aki (pighahagad) mga bagay na dae na kayang itao sa paagi nin seyensia, bulonga ang saindang mga helang sa paagi nin pangadye nin Fray Diego de Herrera. This article was already published online in tripod. Duplication of this article do not intend a copyright infringement. Little we know about FRAY DIEGO de HERRERA’s life, but there are sources that we can use in order to know him. When I was still young my Father was invited as speaker in Bato, it was the late Dr. Antonio, Zantua who if I was not mistaken was the chairman of Fr. Diego de Herrera’s fourth centennial celebration of his martyrdom. 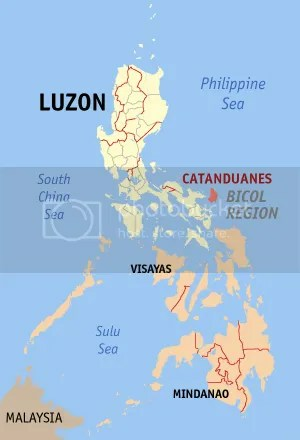 The purpose of the celebration is to invigorate the faith of Catanduganon; He died propagating the Catholic faith to the native of Batalay, Bato, Catanduanes, Philippines. Goyena Del Prado in his book IBALON testified this. On April 25, 1576 the Galleon Espirito Santo was grounded in Nagnangang Buaya point in Batalay, Bato, Catanduanes. This Galleon was heading to Cebu, City coming from Acapulco, one of the passengers of the galleon was Fray Diego de Herrera, an Augustinian Priest, this account by Joaquin Martinez de Zuniega was quoted by Francisco Mallari S.J. in his book “Ibalon Under Storm and Siege” Page 16. They were carrying a cargo of merchandize and passengers while foundering in the East Coast of Catanduanes they were grounded at Batalay a Barangay of Bato, Catanduanes, Philippines all of the passengers were killed except to a certain Spaniard name Geronimo Alvis who knew the local tongue of Visayans. On April 21, 1973 on the occasion of the fourth centennial celebration of the death of Fray Diego de Herrera, a decree was Promulgated by Bishop Teotimo Pacis Bishop of Legazpi declaring the Holy Cross of Batalay become a Diocesan Shrine. 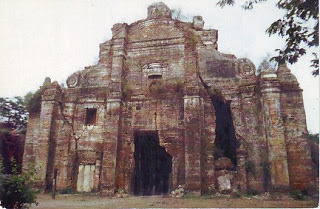 The people in Bato believed that Fray Diego de Herrera was buried under that shrine of Holy Cross. (As I understand the Holy Cross was brought by Fray Herrera from Spain to Batalay, Bato) This was the first step in honoring the martyrdom of a priest in Catanduanes, but until then there was no same honor given to him. If Fray Diego de Herrera will be beatified, I am sure this will bring so many blessings in Catanduanes because once there was one Saint who lives in the place, therefore God will look much favor from them because of the honor they have given to his martyr Son. His life and works will be emulated by the Catholics who are looking for father image, especially today that the people of Catanduanes distrusted many of the priests in Diocese of Virac. While the cause of beatification of Fr Peyton and Bishop Sheen is widely seen in the Television FRAY DIEGO DE HERRERA WILL BE LONELY SEEN IN CATANDUANES.NET. I hope that it will appear permanently in this site. Please STR! We invite Agustinian priests to help us process the beatification of your brother Fray Diego de Herrera. I am sure he is a Saint because He is a martyr of his faith as testified by Goyena Del Prado in His book Ibalon. Also we invite Fr Catalino Arevalo S.J. (he is one of the in-charge of the beatification of Beato Calungsod of Cebu City) to help us process the beatification of Fray Herrera. We hope that the historian from Catanduanes, Fr. Jose Arcilla S.J. of San Andres, Catanduanes will also share his expertise in the field of history. Those Catandunganons who have a surplus of money may contribute for the Beatification of Fray Diego de Herrera. The process of beatification is very expensive that it needs the wholehearted support of every Catandunganons. The blessings from God are more than enough than any material riches that we can get from this temporary World. By, Langob of Marimar Village II, Pque City, Oct 23 1966. This should have been a follow-up article on the Diego de Herrera Case that I posted at AgustinongPinoy. But since the site is still inaccessible after three days, I am posting this here. Fr. J. celebrated his birthday today in our convent at San Pedro, Laguna. A lot of guests came, representing several friars’ communities in Laguna and Manila. Among these were the novitiate community of San Agustin Intramuros Manila, headed by Fr. P. who is also one of the more published Augustinian friars working in the Philippines today. Some weeks ago, I discovered a forum post at Catanduanes.Net where a certain Mr. Langub (or Langob) was asking the Augustinians to help them work for the process of Diego de Herrera for the sainthood. 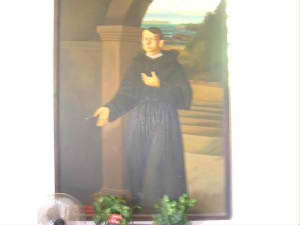 Fray Diego de Herrera was one of the five Augustinian friars who accompanied Miguel Lopez de Legazpi to the Philippines in 1565. I was interested to know whether the friars of the Vicariate of the Orient are acquainted with the case. Sure enough Fr. P. told me that they have known about the case since 1973. He does not know however how it has progressed since the Bishop of Catanduanes at that time — Bishop Molina — who has documented the case for Diego de Herrera had died. He also mentioned that Fr. A, now assigned as Master of Students at Intramuros, was tasked to follow up the case. This news from Fr. P. was refreshing since it was only some weeks ago that I learned about the case for Diego de Herrera, and from a layman, too. Since my student days, I have wondered whether the first five missionaries to the Philippines were saintly; it would be a pity if they were not, since the fruit of their work is something that the Filipino Church is now enjoying. I of course know that Martin de Rada , the superior of the group, and Urdaneta , the navigator of Miguel de Legazpi, had the reputation of being saintly. But Diego de Herrera? Compared to the two previous friars I mention, he is virtually unknown, except for a few letters he wrote to the King of Spain for more missionaries to the Philippines! Mr. Langob contends in his article posting that Diego de Herrera was a martyr, and he is regarded as such by their local Church. Fr. P however tells me a funny story that was told him, in turn, by the late Bishop Molina. It is said that in Catanduanes, there was a chief whose wife had difficulties giving birth. They were about to perform a Caesarean operation on the pregnant woman when Fray Diego intervened and told them not to go on with it. The chief agreed, but then he said that if the woman died, Diego de Herrera will die with her. To cut the long story short, the woman did die. And so Fray Diego de Herrera was also put to death by the chief. Was Fray Diego de Herrera a martyr for the faith? I, too would like to know. Fray Diego de Herrera was already a missionary in Mexico when he was called to accompany four other Augustinian friars with the Adelantado Legazpi on their way to the Philippines. He could have been the first archbishop of Manila if not for his ship being wrecked in an island off the coast of Bicol. According to a biography by Fr. Rodolfo Arreza, OSA (“The Beginning of the Augustinian Order in the Philippines: A Bio of Fr. Diego de Herrera” in Augustinian Legacy, January 2002, pp. 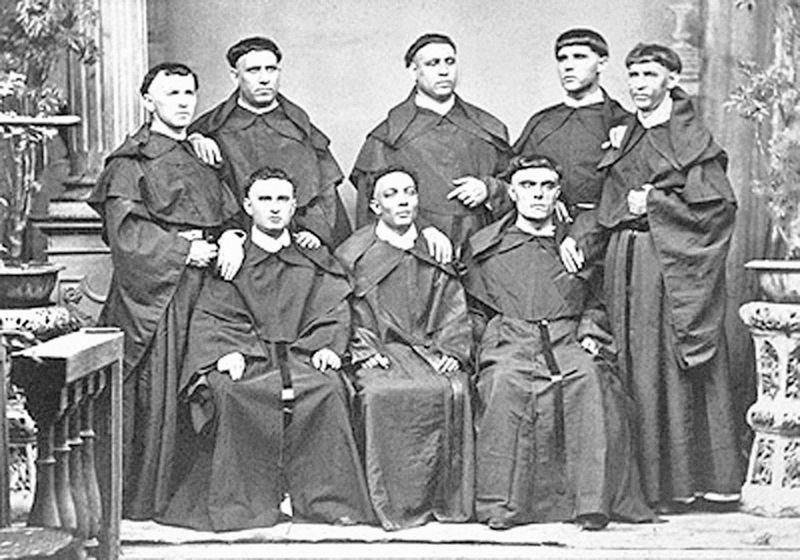 18–24), the first prior of the first Augustinian community of Cebu perished with ten other friars newly recruited for mission work in the islands.